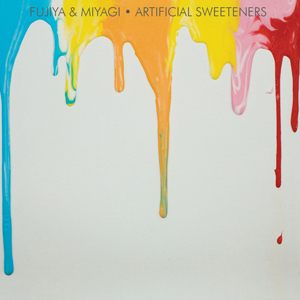 Fujiya & Miyagi do it again with their latest release, “Artificial Sweeteners”. Their new album is good keeping it simple on some tracks while also experimenting getting into more complex electronic sounds on others. The problem is that neither of these satisfy fully. When I first listened to Fujiya & Miyagi some years back, they definetly sounded original and even their most simple and repetitive tracks, like Uh-Uh was –and still is– satisfying. The problem now is that the simple tracks in their new album that try to recreate the formula don’t do it successfully, because they fail to be as catchy or because the approach is now a bit dated either way, they don’t fully satisfy. It’s not groovy or funky enough and more complex tracks tangle themselves into disappointment however remarkably, the album never skips a beat and sounds consistent from beginning to end. “Artificial Sweeteners” engages you just enough to keep you listening, specially after the progressively upbeat album opener and single, “Flaws”.